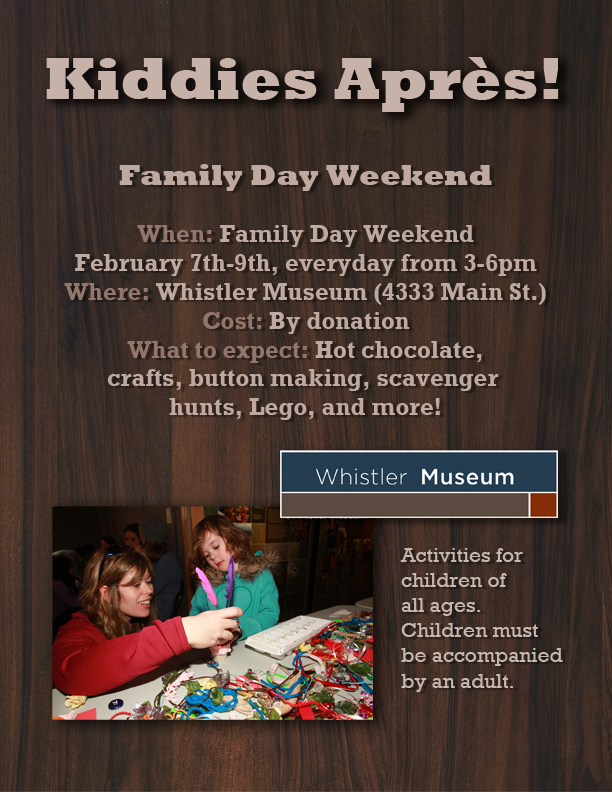 Kids Après at the museum is back for Family Day this year! Come by February 11 – 13 and 17 – 20 from 3 – 6pm for colouring, button-making, LEGO, hot chocolate and, of course, exploring our exhibits. We’ll be holdings Kids Après again every day during March Break (March 20 – 31), just in case you can’t make it out this month.